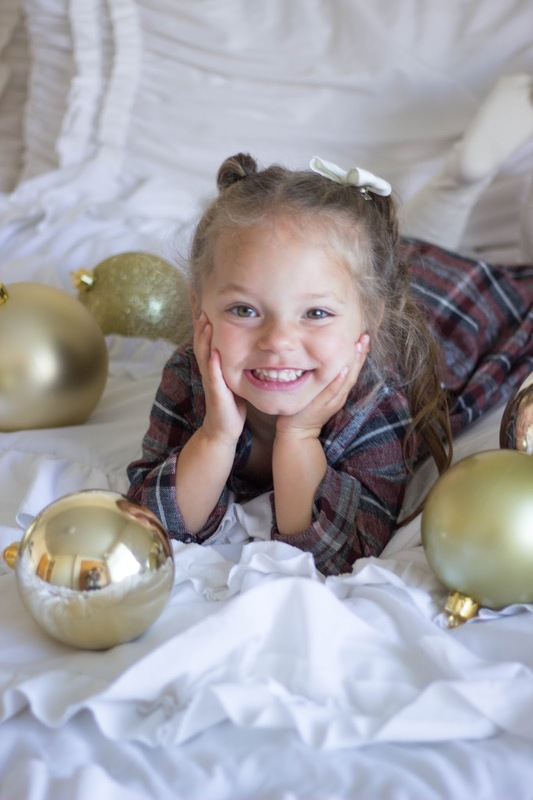 Why Holidays Are So Much More Fun With Kids | For the Joy of Life. I have always absolutely loved holidays. I can remember as a kid sitting by my window late at night, just looking at all of my neighbor's Christmas lights. I would sit there until I couldn't keep my eyes open any longer because I just loved the magical feeling the lights brought. I remember waking up Christmas morning giddy with excitement because it was such a special day. I remember not being able to sleep the night before holidays because I was just SO excited. As a kid, the excitement of holidays can't be beat. I still loved holidays as I got older but noticed the magic start to fade. I no longer felt like the little girl I once was. However, that magic suddenly came back once I had kids of my own. First things first, you get to start as many holiday traditions as you want! I am kind of a tradition crazy person. I couldn't wait to have a family of my own because I was so excited and ready to start traditions. A few of my favorites are visiting Santa, watching Christmas movies, looking at Christmas lights as a family (to make it even more fun look up "the polar express" on pinterest! ), making and decorating cookies, reading Christmas books, advent calendars, and matching family jammies! Did you know that Carter's has an amazing selection of children's pajamas in all different sizes?? Carter’s has the best holiday pajamas, not just because they’re affordable, but because they’re comfortable and stylish! Second, you get to experience that same magic you once felt as a child all over again. It has been so fun to watch our kids experience the magic of holidays. 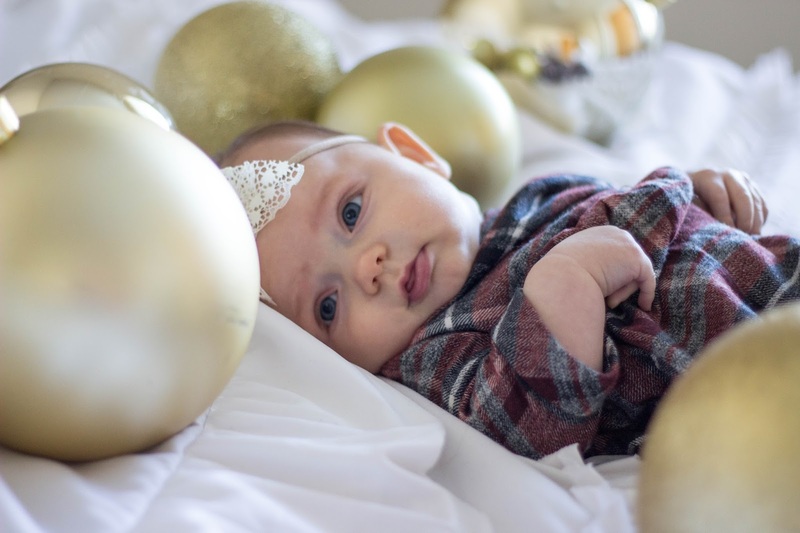 Watching Oaklyn's eyes light up when we turned our Christmas tree on this year, literally filled my heart with joy. I couldn't stop smiling as I watched her eyes get big with excitement. I felt that same joy I once did as a child only now, it's ten times greater. 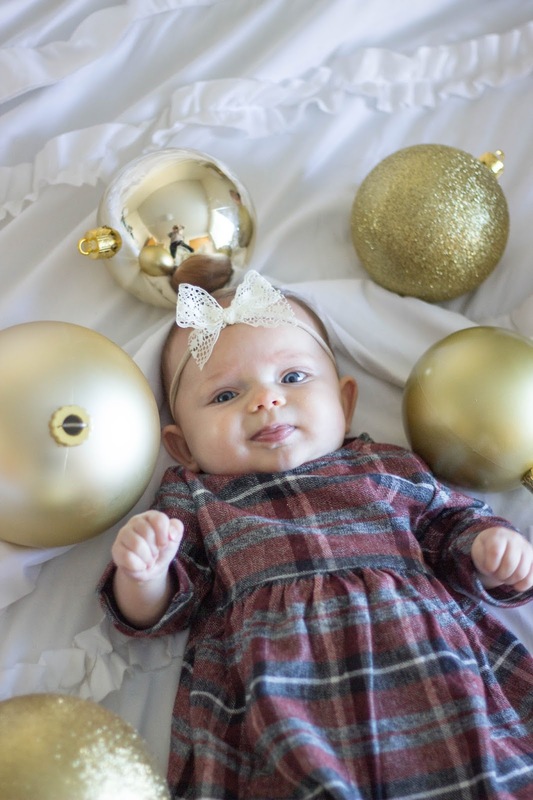 Oaklyn can't wait for Santa to come and she asks if it's Christmas time just about every day. I am loving how excited she is and it's making me that much more excited as well. Third, you get to plan a Christmas card! I don't know if this is as exciting to others as it is to me... but I literally am obsessed with Christmas cards! I get so giddy when they start showing up in the mail. I also love having it as a keepsake each year. I save our Christmas cards each year and love looking back over the years. I started the first year Hunter and I were married and have done one every year since. It has been so fun seeing our family change each year. It also forces you to take an updated family photo! With family pictures, comes planning coordinating outfits! Carter’s has a variety of styles perfect for every holiday moment, and they definitely have you covered in the family photo category! There's adorable clothes in several sizes at their store and online. Carter’s clothes and PJs are equally cute and comfy – at an affordable price point that doesn’t sacrifice quality. Lastly, holidays with little ones means the opportunity to feel the joy of giving. I love receiving presents... who doesn't? But, I've learned over time that the joy of giving is even more fun for me. I love finding holiday gifts for my kiddos and feel so much joy when I watch them open up a present I got them. Oaks is a true girl and loves getting new clothes! 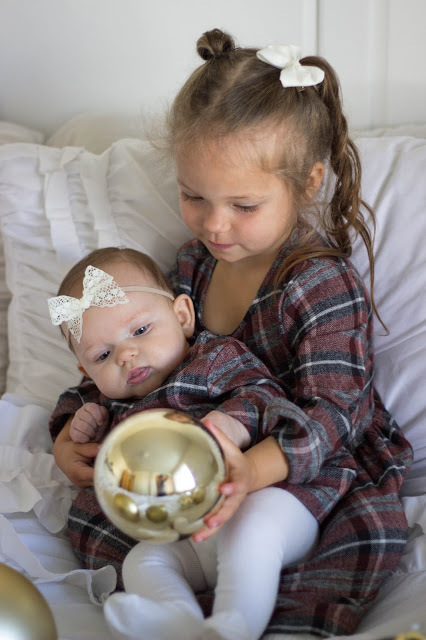 Carter’s will have can’t-miss Black Friday deals beginning 11/17 so you can get your little ones some cute new holiday clothes at an amazing price! 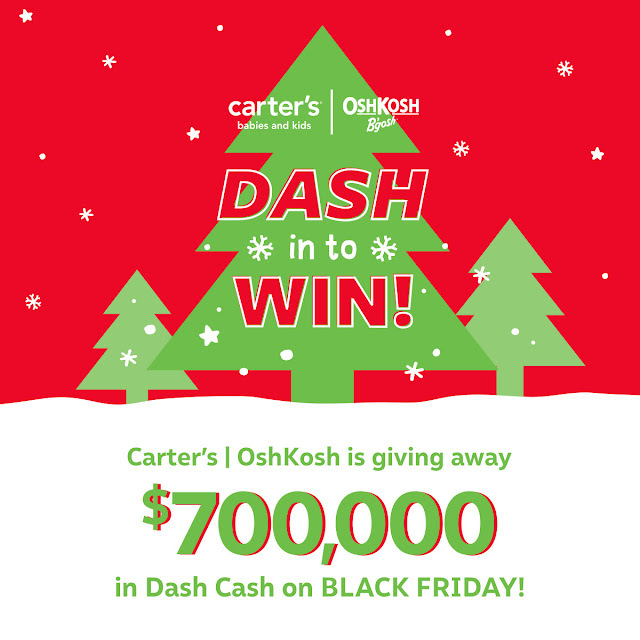 Carter’s and OshKosh B’gosh are giving away over $700,000 in Dash Cash to the first 100 people to visit their local Carter’s or OshKosh B’gosh store for the Dash In to Win Sweepstakes. The Sweepstakes will be held on Black Friday (11/23 or 11/24 – depending on when the store opens after Thanksgiving). Plus, customers will receive a gift from Shutterfly on their $40+ purchase that day! SO many reasons to head to Carter's for Black Friday shopping! Also, you can take 20% off your purchase of $40 or more in store or online through 12/31/17! The in store code is: 070716 and the online code is: CART4198. So many great deals at Carter's! It's also fun to teach your children why giving is important at a young age. 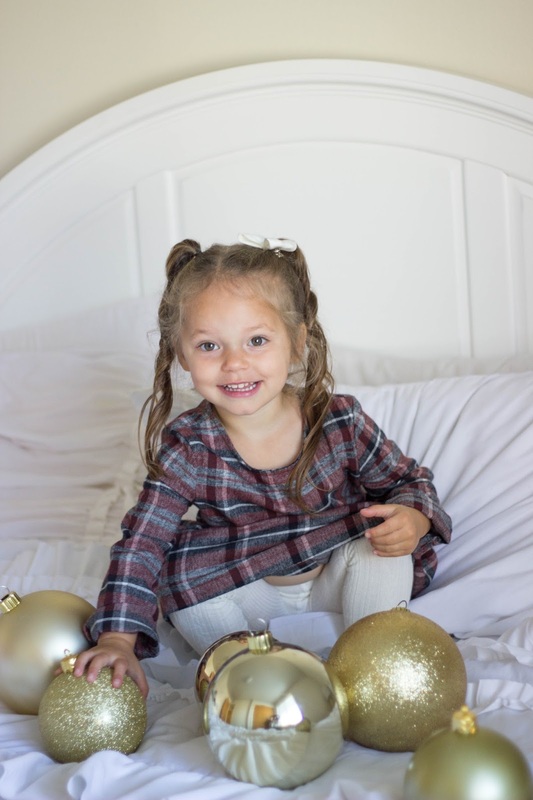 Carter’s believes that every child deserves a good night sleep so they are partnering with Pajama Program, an organization that provides children new pajamas, from November 1st – December 31st. Customers can help by donating a pair of new pajamas in store or make a monetary donation at check out (in store or online). Carter’s will match up to 100,000 pairs of pajamas. Your local community benefits directly from your support and your children will learn that the holiday season isn't all about receiving... it is about giving as well. Being a mother has been the hardest thing I've ever done... but it has also brought me the most joy. Children are a lot of work and a whole lot of fun! 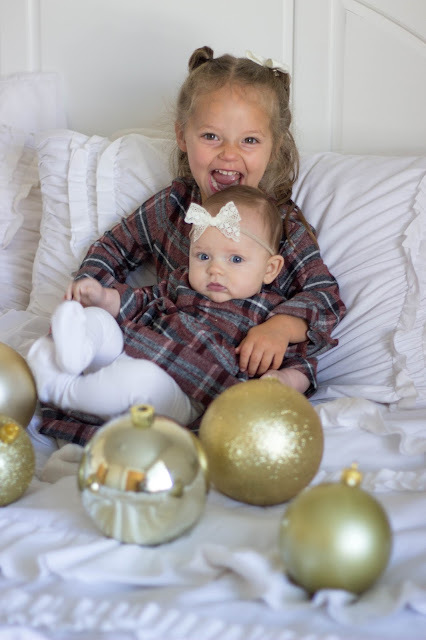 It has been so fun having kids during the holidays and I can't wait to create more memories with them this year! Now tell me, what do you look forward to most during the holidays? ?